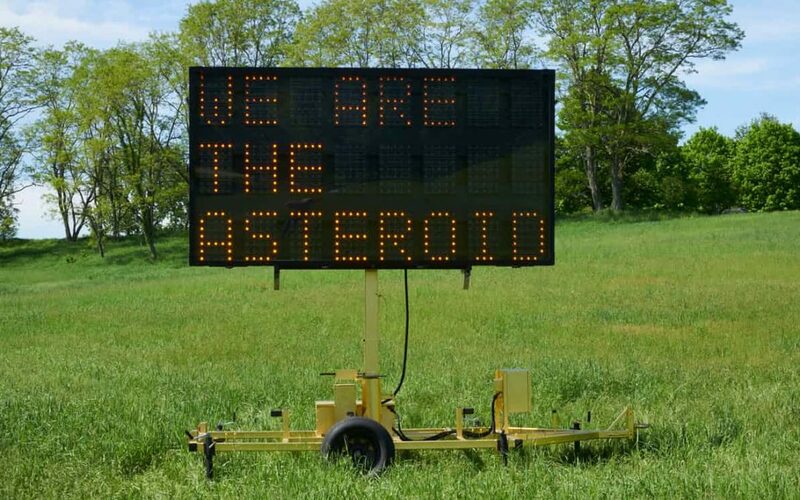 “We are the Asteroid” is a statement included in a work by artist Justin Brice Guariglia titled Ecologisms (Highway Sign 1.0), and is featured in the Artists on Climate Change exhibit at Storm King in New York. We’ve featured Justin’s work before; including his relief 3D printed photographs of glaciers and his stunning tattoo showing the global temperature rise from 1880-2016. Check out his art works on his web site and follow him on instagram.